Most Fear mechanics in d20 (and RPGs in general, but most specifically D&D) are terribly boring. You fail a check, you run. In other words, you're practically out of combat (and the really boring part is that, even after the fear effect wears off, you usually spend a few rounds running back to the fighting). As I said: boring. How can we make fear more fun for both GM and players? I'm stealing something from the Entropic Gaming System (which is a nice variant of Savage Worlds if you ask me). The Entropic Gaming System (EGS) has a really cool mechanics like Heroic Points, Gaining the Advantage and Fear. Let’s adapt EGS’ Fear for D&D and its descendants. This is how I’m doing it: when the PCs are affected by a Fear effect, the GM gains a FEAR POOL for the duration of the encounter. A typical FEAR POOL could consist of 1 Fear Point per player character affected, plus maybe +1 Fear Point for every 2-3 HD of enemies (maybe demons, true dragons or undead would gain more Fear Points). If you're playing D&D 3rd/Pathfinder (which has Shaken/Frightened/Panicked condition scale) you can use the numbers above for a Shaken condition. Fear effects that generates a Frightened condition could give 2 Fear Points per PC that fails a save. Panicked-scale effect would give 4 Fear Points per failed a save. - force a PC to reroll any dice (ability/skill checks, saves, attack/defense rolls, damage rolls etc.) and pick the worst result. This can be used once for each roll. - force a PC to go last in the round, or to go after the scary monster (i.e. the Fear source), or let the scary monster interrupt his actions. - force a spellcasting PC to make a concentration check to cast spell (or subject him to a misfire, if you use this kind of rule). - forbid the PC from attacking directly or any other way harming the source of the Fear effect for 1 round. - deal subdual/non-lethal/stress damage to all PCs that attack or any other way hamper the source of the Fear effect that round (this damage can represent the PC’s sanity, will or resolution literally eroding, to the point that the victim of the Fear effect finally falls unconscious due to sheer terror). Maybe 1 die of subdual damage for each 5 monster HD (use the same die, so in Pathfinder, a dragon would inflict 1d12 for each 5HD). Or maybe just inflict 2 dice of subdual damage per Fear Point spent. - spells that remove Fear effects should be able to remove a number of Fear Points equal to caster level (or maybe half that against Frightened/Panicked-scale effects – or Fear effects provoked by really strong creatures). - a PC could use a Charisma check (or a performance check if a Bard in 3rd) to inspire his friends. The Charisma check can be substituted for any other equally heroic and inspiring deed. If successful, allow him to remove 1 or more Fear Points (a Bard using his inspiring/remove fear abilities, should work as spellcaster of the same level). - an affected PC can do a thematically appropriate roleplay action (at least a move/standard action). Things like standing paralyzed and screaming, running while dropping one of this items etc. If the GM approves, let the PC roll a Luck roll or Will save – success removes 1 Fear Point, a natural 20 removes 2 Points (and maybe a natural 1 adds +1 Fear Point). Or just rolls a d20 (like a death save from D&D 4E and 5E): Anything from 2 to 15 would remove 1 Fear Point, 16-19 would remove 2, a natural 20 removes 3 and natural 1 adds +1 Fear Point. If the PC uses his move/standard action to do something really stupid but cool and thematically appropriate (like a non-cleric branding a holy symbol in an attempt to turn a demon, but only managing to draw the creature’s attentions, by a nice GM and remove 1 Fear Point “for free”, before rolling any die). At the end of the encounter, if any PC managed to do a cool "fear induced" action, you should reward him (with Action Points, Hero Points, Healing Surge etc., give him at least a free reroll, use D&D 5E's advantage, or just fives a few temporary hit points or a new daily use of an ability. Oh, and if the PC acted in a properly scared way but penalized other PC (like pushing the ally against the scary undeads), then please reward the PC that was thrown in the fray, not the coward one that run away. 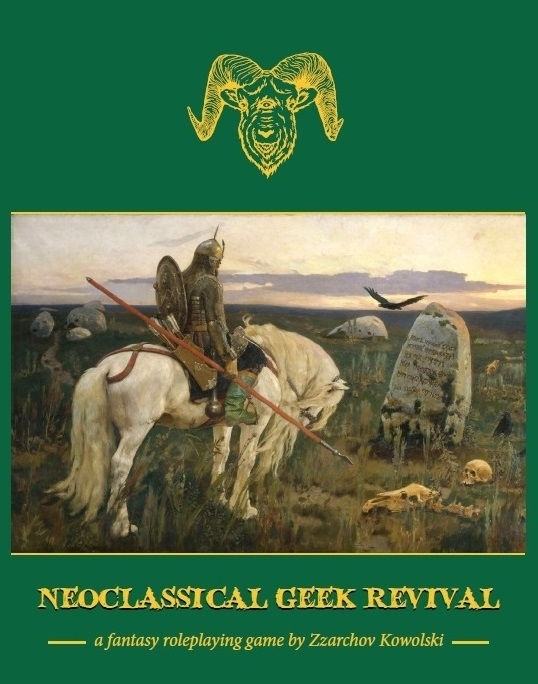 This is (kind of) a review of Zzarchov Kowolski’s Neoclassical Geek Revival (or NGR). Zzarchov is the author behind excellent OSR modules like The Gnomes of Levnec, Thulian Echoes and ScenicDunnsmouth. What astonished me about NGR is [First] that it is a game released back in 2011 that I have never heard about and [Second] that it is a wonderful package of ideas and gaming principles, all of which are amazingly easy to steal for your home games/systems. This little post is based on NGR’s No Art Version (a 112 pages PDF available from DriveThruRPG - link above). NGR is clearly inspired by the OSR but it is not (technically) a retroclone. Although I hate the term, you could say it’s a fantasy heartbreaker. It’s definitely Zzarchov’s ideas and esthetics for a generic fantasy game system, but you can clearly see some of its gaming roots. The book start with rules for “rolling dice” (that definitely are in the spirit of OSR and the first games). My favorite ones are those for limiting bonus, the “?d#” roll (where you roll a dice until getting its maximum result, with a ?d6 meaning you roll a 1d6 until you hit 6) and the inverted die. NGR also uses a chain of dice progression, almost like DCCRPG. There’s also the awesome ‘The Known Rule’, which gives bonus to the players every time the GM has to stop the game session to check for rules in the book (I understood that the same rules forbids players from checking if they can’t remember how a rule works… just roll with it and keep gaming!). Character creation is simple. Each character has 6 attributes: Strength, Agility, Health, Perception, Intelligence, Charisma and Will (all self-explanatory). Each attribute has a score, a modifier and a die, all used for different stuff (and NGR does uses the score itself, which is good since I believe D&D 3rd/Pathfinder could follow M&M and stop using them). Attributes scores usually vary between 1-20, with 10 being the baseline. The next step is Species (i.e. Races). We get the usual suspects here: Mankind, Dwarves, Elves, Wee Folk (Halflings, Gnomes etc.) and Wodewose (half-giants, ogres etc.). At first, there’s nothing new here, but Zzarchov’s approach to Species is excellent and illuminating. NGR does not lose its time giving bonus and modifiers for Species. The author believes that a Specie should be foremost about flavor, so he gives them a lot of unique and interesting benefits or drawbacks (all mechanically minor; again, you don’t see bonus/penalties here, which I found excellent). For example, NGR’s Dwarves are color-blind (except for gold, silver and gemstones) and they only age when their skin is exposed to sunlight (and “getting old” for a dwarf means get slowly petrified) – this oozes flavor and I’m tempted to steal it for all my Dwarves henceforth. Next we’re introduced to a concept that I’ve been trying to implement in my OSR/Pathfinder games since reading games like FATE or I AM ZOMBIE – the Schrodinger’s Character. Basically, you build your character during the first game session, by playing it. It’s an amazing concept, very useful for grognards like me (or just adult gamers in general) which have precious little time for their beloved hobbies due to jobs, daily responsibilities, family etc. After that we get to the Pie System, which is basically NGR’s approach to a class system. Each character gets a number of “pie pieces” to choose from six options: Warrior, Wizard, Rogue, Bard, Bard, Priest and Fool. The number of pie pieces you place on each “class” dictates how many abilities you gain and your progression. Each class come with a selection of 6 powers to choose from, besides a Locked Power (which you only get if you pick 4 pie pieces from that class) and rules for the class’s Personal Item (from a Warrior’s trademark item to a Priest’s relic). I won’t lose time with the class details here, except for two: the Bard and the Fool. NGR’s Bard is my kind of Bard. Forget spellcasting minstrels or cumbersome jack-of-all-trades, NGR’s Bard is a social master. All his abilities are potent social traits and his ‘Personal Item’ are henchmen (Perfect!). Finally, we get the Fool. This isn’t a class, but a pie piece that dictates how Luck Points progress for a character, besides also giving bonuses to awesome rolls (more on that later). Luck Points are NGR’s answer to hit points – they’re definitely abstract, they can be spent to keep the character safe from a lot of harmful effects (not only physical damage) and they’re recovered in true Sword & Sorcery fashion (Parties, Celebrations, Ho-Downs, Shindigs & Box Socials!). In other words: they’re hit points that make sense. In case you’re wondering: if you get 0 Luck Points, physical damage goes straight to your Health (i.e. Constitution in d20 games), but we’ll get to that. Awesome rolls, mentioned above, remind a little of experience rolls in BRP, but here they’re used at end of the game session to gain Fate Points (which are NGR ‘action point’/FATE point system). The character’s pie pieces in each class also determine their progression bonus in the following universal modifiers: Combat, Presence, Stealth, Occult and Faith (each linked to a class and an attribute). For example, Combat equals a character’s Warrior bonus plus their Agility modifier). The next steps are ‘Character Traits’ and ‘Skills and Knowledges’. Traits are selected only at character creating (2 at most) and give a character advantages and disadvantages. For example, if you’re Arrogant it’s hard to hit you in social conflict, but when you fumble in such conflict, you lose a lot more Influence. Skills and Knowledges are divided in three basic types: Languages, Knowledges and Weapons. Before picking up equipment each character chooses 2 Relationships, one linked to the player seated to the left, the other to the player seated to the right. Relationships help to bring the group together and are simple things like ‘Life Debt’ or ‘Family’ (they also have a small mechanic effect). NGR uses a simple and practical encumbrance system, which remind me of Lamentations of the Flame Princess and other OSR approaches to equipment/load. Thank the gods, NGR provides starting equipment packages (I can’t say why but these days buying equipment is the dumbest and more boring part of character creation for me, which is why I absolutely love the dK System’s Preparation skill). Finally, you choose your Morality (i.e. Alignment), Lucky Number (a famous OSR blog rule) and fill the last numbers of the sheet – Mana for Wizards, Piety for Clerics, Destiny (which is 0 for beginners, unless it’s your birthday) and XP. The system basic check uses a d20, but you must the check the ‘Keeping Your Cool’ rule. This basic rule is the core of the system and states that when a character is CALM he can roll a d20 or just pick d10. He can also choose to go ON EDGE and roll 3d6 instead of 20. Or he can just go RECKLESS and roll d20. Once you go from CALM to any other stance, you can‘t go back until you get a restful night of sleep in a safe area. Checks in NGR are either opposed or against a target number; you roll your die (following the ‘Keeping Your Cool’ rule) and add the relevant score. NGR has a very interesting take on saving throw, one that reminds me of Chainmail. In NGR a saving throw is a check that a player can request when nothing else applies and his character is in danger. Only characters with a milestone can request a saving throw (a milestone is a very interesting parallel advancement system of NGR, linked to story deeds and accomplished quests). Now, the cool bit of the saving throw is that the exact effect of failure or success are based on the player character response to the threat. Is his idea to avoid the threat standard? (“I duck the lightning bolt”) Then a failure means normal damage and success means half damage. Is the PC’s idea crazy enough to work? (“I used my metal staff to discharge the lightning bolt around me, nullifying it!”) Then is double or nothing. As I said, it’s a very cool rule. NGR has a considerably narrative and modern approach to damage. You can have any number of different damage types, each linked to a different (or the same) attribute. The game provides a (extensive) list of “common” types of damage ([Physical] Damage, Stun, Stress, Suspicion, Influence…) and “uncommon” types (Toxicants, Fear, Mutation…). Some kinds of damage stack. For example, stun and [physical] damage both affect Health. Also, NGR uses a brutal death spiral rule for most types of damage. For example, [physical] damage to Heath inflicts a -1 penalty per point of damage to base checks (the d20/3d6/take 10 check mentioned above or “dX” as it’s called). That’s why Luck Points are such important (and awesome) resource, they allow to ignore ANY type of damage. NGR damage system is possibly the game’s most interesting and hard to grasp rule (for me at least). For example: NGR has a Suspicion damage track, based on Perception, which means that sneaking is now a conflict. That’s a great rule because it ads tension to scenes where the group is trying to ambush an orc scout party or get past a dragon guarding the dungeon’s only exit. However, I feel that NGR would benefit A LOT by giving examples for each kind of damage (maybe describing an actual play encounter for each type of conflict or damage). Other damage types could benefit also from a few tips – like the Mutation Damage, where I missed at least a table of possible effects or other more concrete suggestions. Social Damage like Influence and Infamy also gave me headache, especially in conflicts dealing with multiple characters and different intents (for example, one PC is trying to befriend the NPC while another is trying to seduce him… does both attempts stack? Do I keep track of “different” Influence damages?). NGR does provide a compressive set of rules for hazards, conflict types, mass combat, trials, investigations, enemies of different sizes etc. I won’t get in details here, because I’m focusing on the game’s parts that attracted me most. NGR provide further support for Warriors (Combat Tricks), together with the now class stuff for Wizards (Spells) and Clerics (Miracles). Combat Tricks are martial maneuvers that Warriors can learn. Wizardly Spells are basic templates (like Powers in Savage Worlds), that must be enriched with flavor – it’s not just a Bolt spell, but Marvin’s Magnificent Lightning Bolt! The magic system uses Mana Points and is a bit bland for me, but these days I consider myself extremely spoiled by games like Warhammer 2nd and DCCRPG. The author, however, does pull very flavorful mechanics – especially the Price and Magic Components rules. There’s also the excellent and weird (in a good way) rule that states that a spell’s power is inversely related to the numbers of casters that know it (which is THE BEST explanation about why wizards are such greedy and jealous bastards when it comes to their spells). Priestly Miracles are based on a caster’s divine patron and how many Piety Points he has. The Piety rules are the best part of the chapter and give divine spellcasters a flavorful style, totally different from Wizards. NGR’s next chapter deal with Fate Points (that you gain at the end of each session through the ‘Rolling for Awesomeness’ check) and Destiny Points (which are very hard to gain but allow you to totally own a situation). This chapter also has an advancement track, Milestones rules, how to gain XP etc. The last bit is the Rolling “The 2d6” – which is a rule pertaining to each character’s Personal Item (or henchmen for Bards). NGR’s final chapter deal with ending a campaign (the game’s top level is 10). After all this material the only thing that I missed were information and stats on monsters and NPCs, which seem to be available through a separate PDF product. 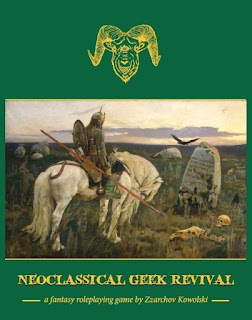 Zzarchov Kowolski’s Neoclassical Geek Revival is a unique and imaginative fantasy system, that will enrich any gamer’s library. For me this is the ideal game book – one that even if I never use in my table (and I intend to use it) makes me read other books with new eyes and gives me tons of ideas about how adapt campaigns and other games to me needs (yeah, that’s a 5-star review). This is a One Page Rule that should work for any (OSR or not) game. Hi! I'm still here, still reading stuff and even playing a little. I moved again, which made things hard for playing. Work and family made me stop running games for the last few months (and cost me a considerable amount of sanity). But... hey!... I run not one but two DCCRPG games in the last weeks (a record for me in the last 4 years) and then the ideas start floating up again. I also discovered Zzarchov Kowolski's instigating Neoclassical Geek Revival, which I'm reading slowly (and hope to post my thoughts here). So... after running another DCCRPG’s Funnel (i.e. 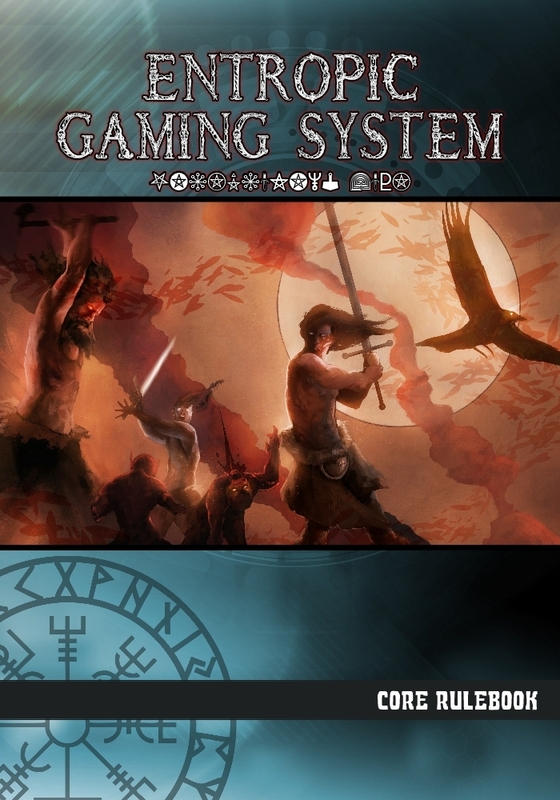 an adventure for starting 0-level PCs, with tons of characters per player and a lot of gore and death) I started once more to think on options about how to can avoid the classical "meat grinders" of traditional D&D/d20. That is, if you want to avoid them. They work perfectly fine for me in OD&D and DCCRPG. 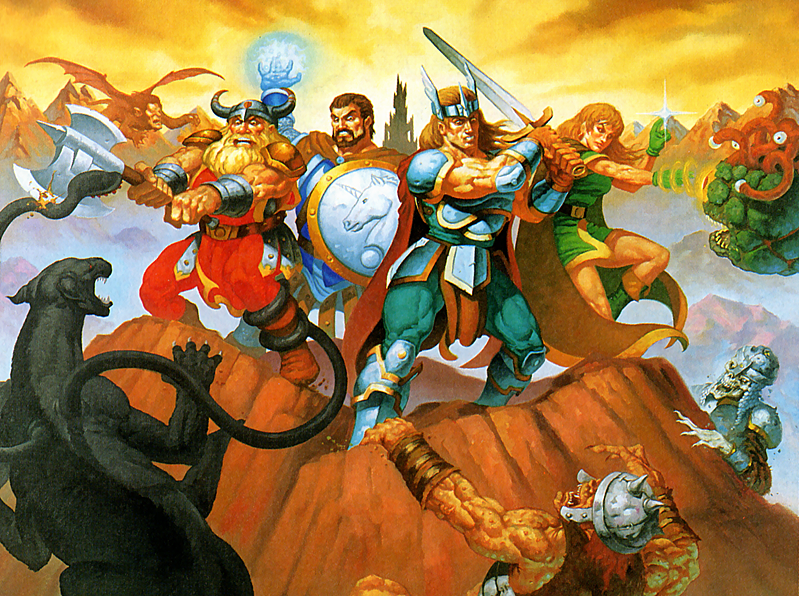 But – maybe – you want to run a dramatic/scenic fantasy campaign, where the young heroes are supposed to survive a few encounters, at least until the first big villain show up (heck, maybe you just want to run a Dragonlance with D&D that follows the narrative logic of its novels). 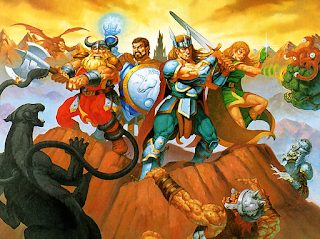 And yes, you want to run it with D&D (in all its myriad incarnations, variants and retroclones… although nothing the “rule” proposed in the post can be used with any game). Also, lets presume that you don't want to bother yourself with lots of variant rules or stuff that increase hit points at 1st level (like adding your Constitution and/or Charisma Score, or maximizing your 1st HD, or using Hackmaster’s Kicker etc). You want to run the more RAW game as possible, but you want a simple mechanic that enables survival and – perhaps – even increase the drama of the game at the same time. The DOOM CLOCK is suited to campaign/adventures that follow a classic hero novel/movie (think Star Wars IV, Krull, the first Pirates of the Caribean etc.). It isn't suited for traditional hex crawl/Old School games, where the dice are supreme and you character is just another insane fellow trying to get rich plundering the Weird and the Underworld. How does the DOOM CLOCK works? 1) First, decide how many scenes/encounters your adventure or session will have. Let’s suppose you planned 6 encounters for the first adventure of your 1st level PCs. So, at the first scene, you give to each player a (preferably big and bright) D6, with the '6' showing on top (or you can give 6 big casino chips/coins to each player). The thing is, the marker must be something obvious. If you use a die, you can call the DOOM DIE!!! (with the 3 exclamation marks). 2) During the adventure, each time a PC dies (or otherwise drops unconscious), his player can spend one "point" of his DOOM DIE!!! and bring back his character at full force (all his resources are restored). After declaring his intent, the players adjust his DOOM DIE!!! (which would go from ‘6’ to ‘5’, if this was its first activation). The player can use his DOOM DIE!!! for as long as he has “points” left. Yeah, this mean that you’re practically giving each player 6 “extra” lives. The idea is to allow each player to risk more and to act more dramatically (i.e. do more crazy stuff!) during the adventure. This rule also gives a considerable boost to the characters, which is also finem if you’re planning a heroic/Dumas-like game. 3) After each scene – even if no DOOM DIE!!! was spent – lower each character’s DOOM CLOCK by 1 point. For example, if a character - during the first encounter of the adventure – spent a point to scape doom, at the end of the scene his D6 would be showing '4', not ‘5’. If the DOOM CLOCK keeps lowering 1 point by encounter, at the sixth (and final) scene of the adventure (probably the one against the main villain!) all player character will have no "extra lives”. The ensuring battle will most surely feel more dramatic, edgy and – I hope – fun! Rules like the DOOM CLOCK also allow the DM/Judge to 'cheat' a little, by creating more lethal or unusual encounters. After all, the PCs are supposed do 'die' once or twice during the game session, if you’re using the DOOM CLOCK. A good example is the infamous 1st level encounter with an adult blue dragon at the start of the 5E adventure Hoard of the Dragon Queen. By using the Doom Clock, it's completely fine to toss a dragon against 1st level PCs... they'll live (and if they're really smart they may even keep the DOOM CLOCK from ticking faster than usual). A Variant DOOM CLOCK: The above rules literally “recharges” a PC when a point is spent. Because some characters – like spellcasters – gain a bigger boost from the rule, the DM/Judge may allow a player to spend a DOOM DIE!!! even when is character is still above 0 hit points. Or – if you believe this rule is too much – you can restrict the DOOM DIE!!! spent to hit point recovery only. That means that spellcasters and other classes with limited resources must still pay attention on how they spend spells and daily abilities.